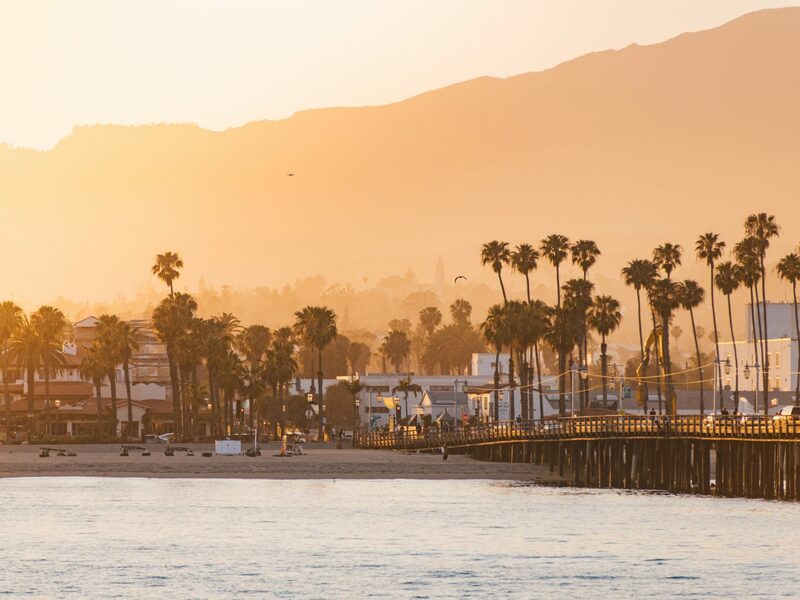 When you think of Cali, what’s the first thing that comes to mind? If you said beaches, you’re not alone. 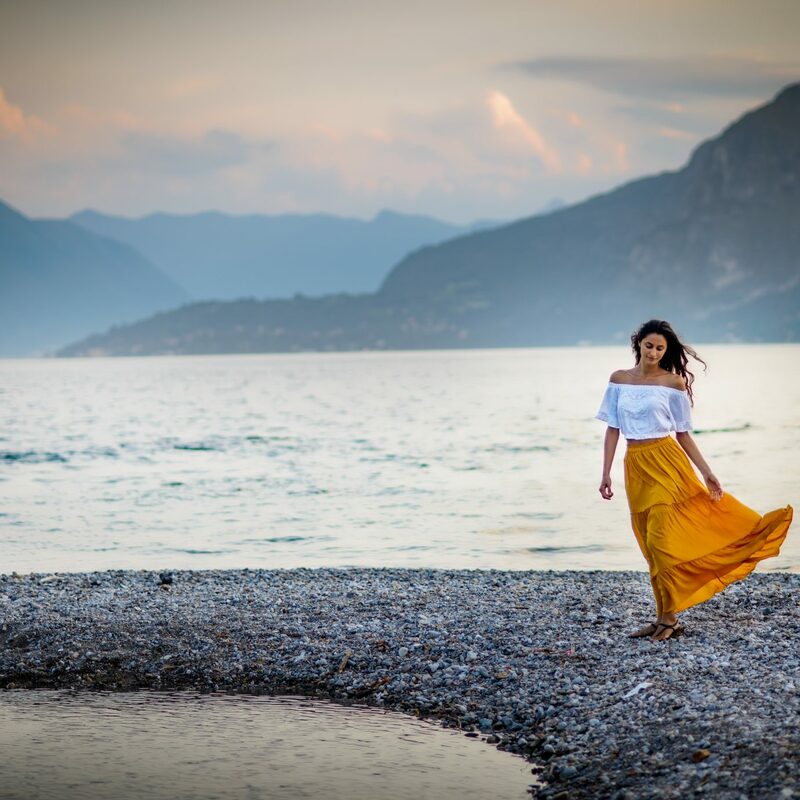 The state’s bright skies and golden sands tend to dominate the travel narrative. But that’s not the whole story. 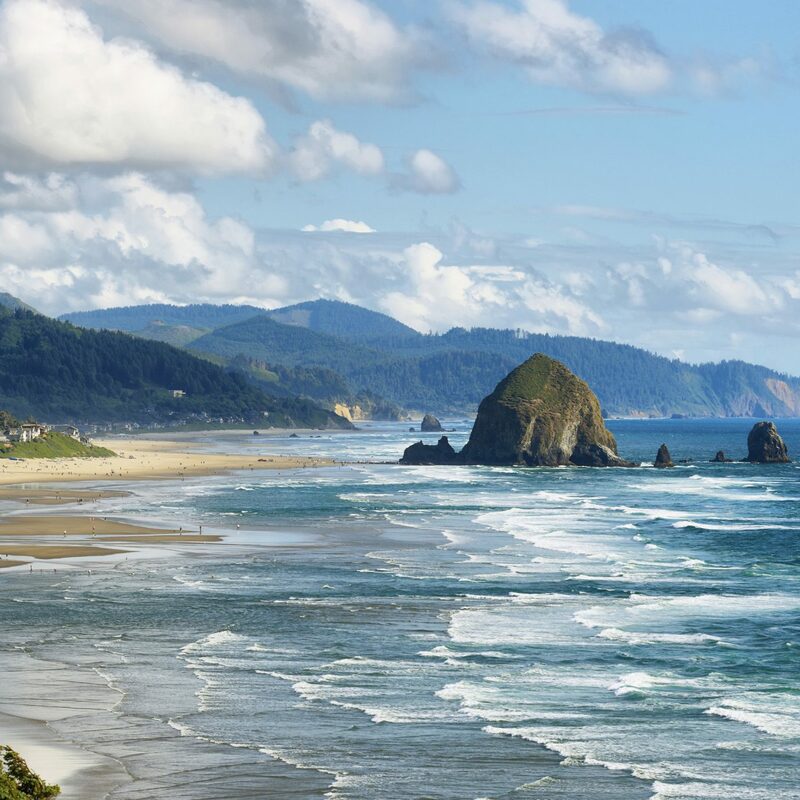 The West Coast state is home to a wealth of cultural and ecological wonders that would make any vacationer weak in the knees. 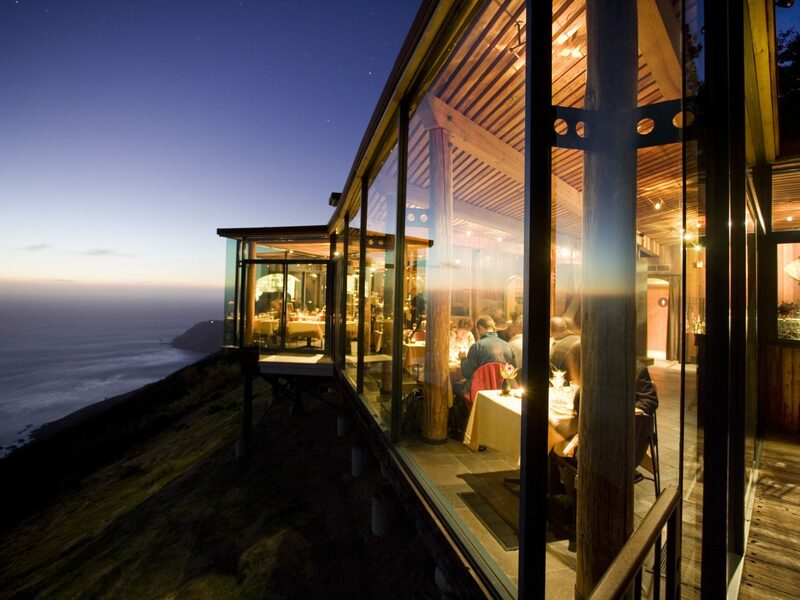 From big-city thrills to natural gems, here are 10 incredible places to visit in California. 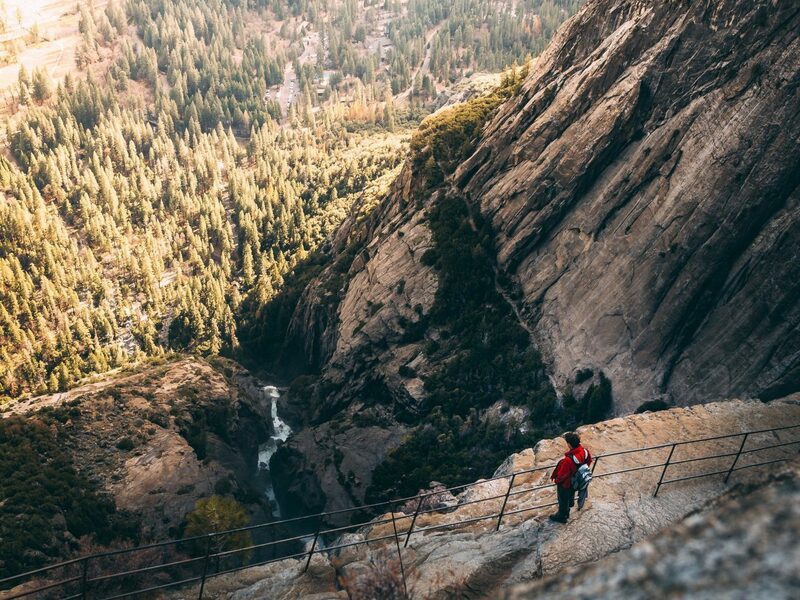 The great photographer Ansel Adams likened Yosemite to “a sunrise, a glitter of green and golden wonder in a vast edifice of stone and space,” and standing atop Glacier Point it’s plain to see why it's one of the most incredible places to visit in California. 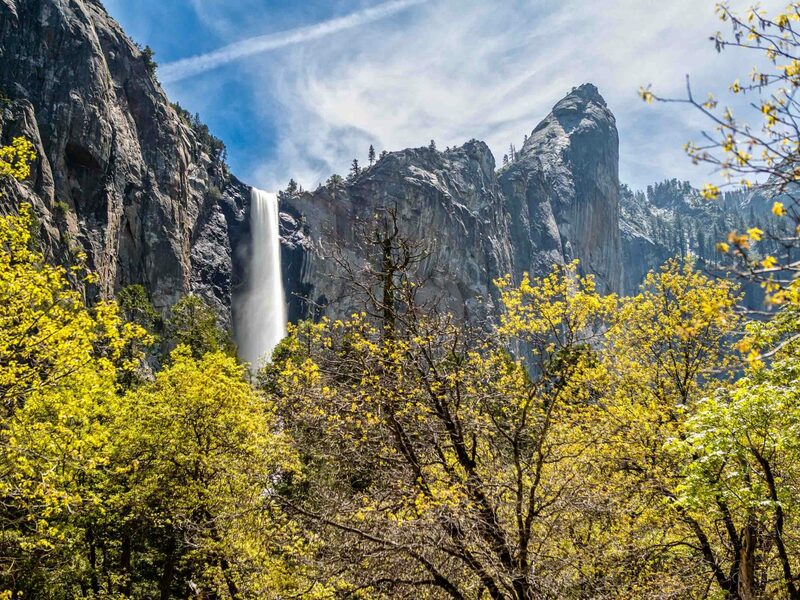 The nation’s third oldest national park is colored by lofty Sequoias, snowcapped Sierra Nevada peaks, wildflower meadows, and a multitude of cascading waterfalls (don’t miss Bridalveil Falls) accessible by tree-lined hiking trails. 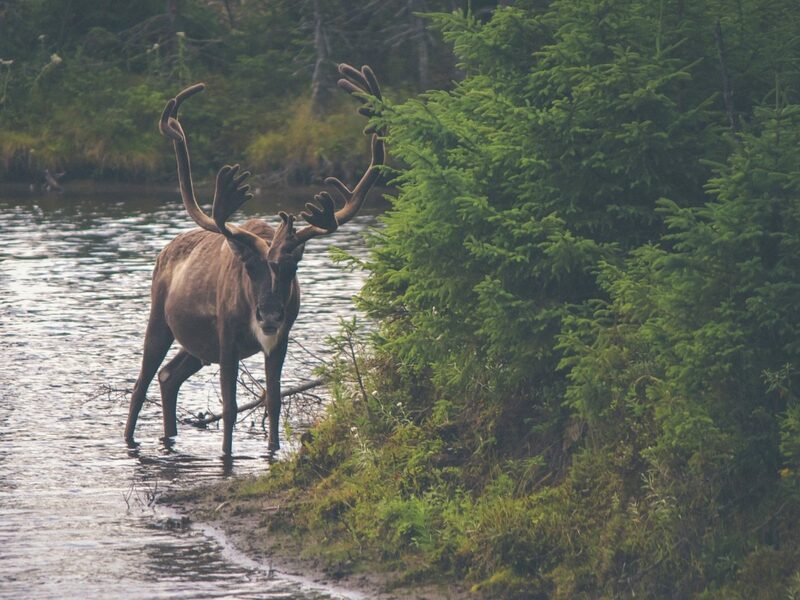 The UNESCO World Heritage Site is also one of the country’s most touristed sites (3.7 million people visit annually), but with nearly 1,000 square miles of wilderness, seclusion comes easy. 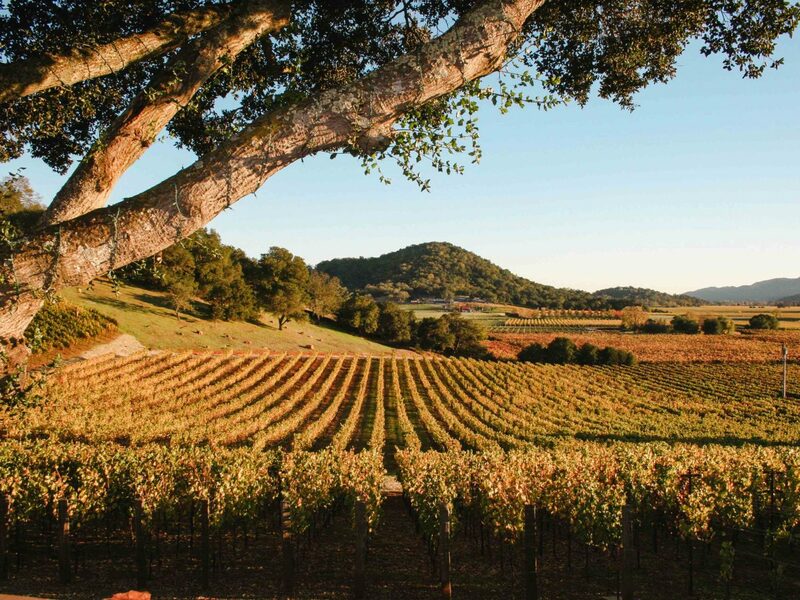 By now everyone knows Napa produces some of the world’s best displays of food and wine (we’re looking at you, French Laundry-reservation holder), but the surrounding areas—Sonoma, Russian River, Alexander Valley—are quickly reaching brand-name status in their own right. 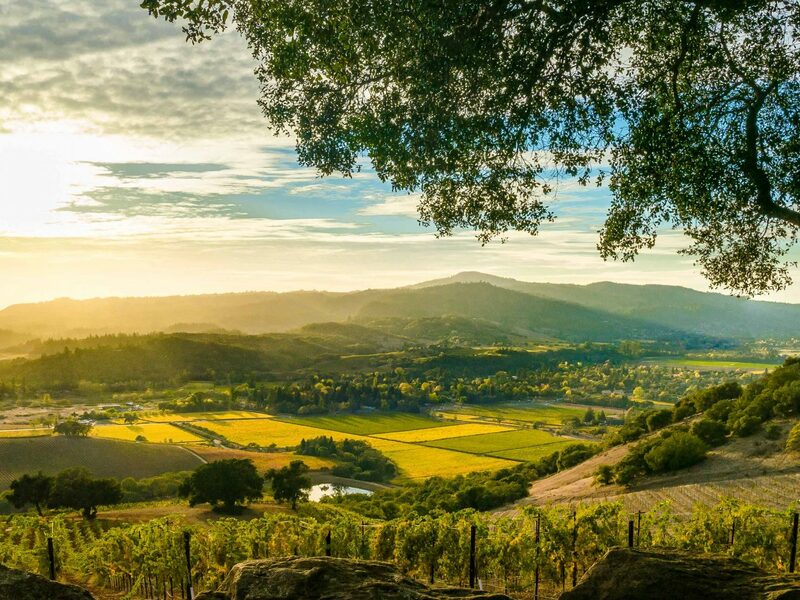 Why not beat the crowds and explore the lesser-known corners of wine country: sample the organic varietals at Mendocino’s Frey Vineyards, or taste award-winning sauvignon blanc at Hart in southern California’s desert-fringed Temecula Valley. 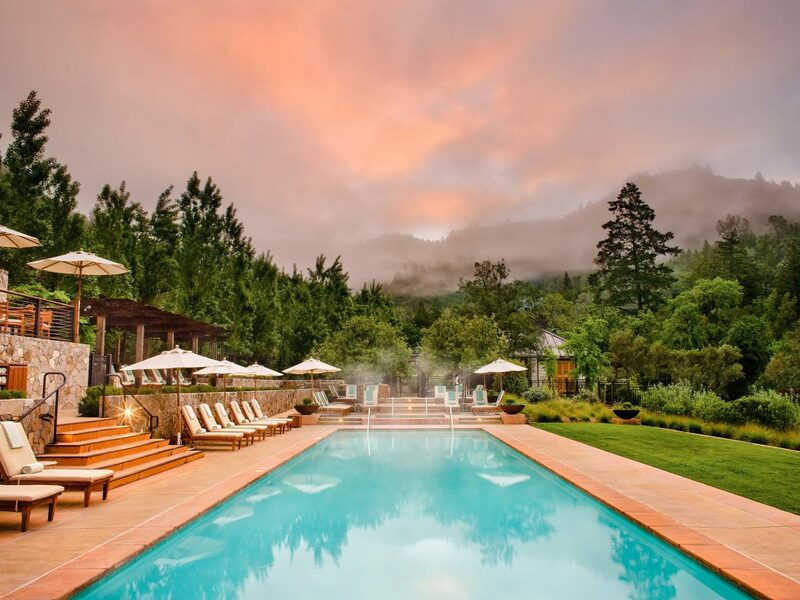 But if the classic grape guzzling experience is what you seek, book one of the cedar guest rooms at Calistoga Ranch, a 157-acre one-stop shop with its own restaurant and winery. 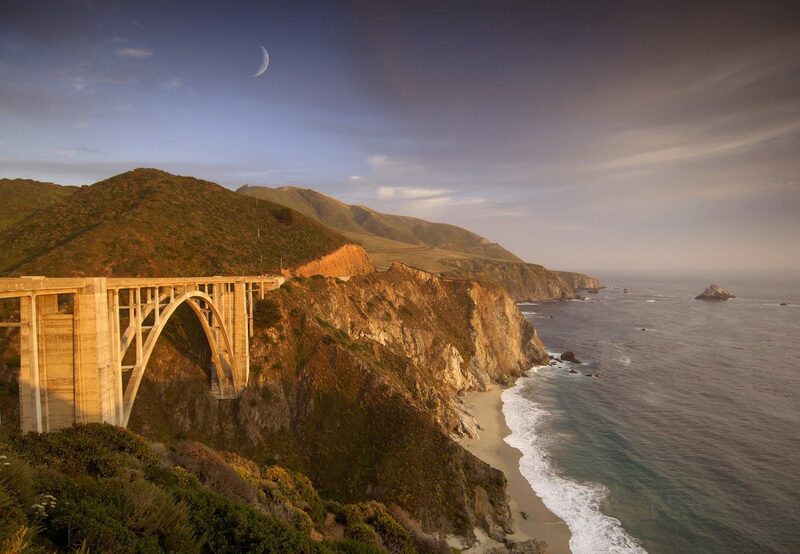 There are few swaths of pavement more iconic than the Pacific Coast Highway, which winds its way down the California shoreline from Mendocino in the north to Orange County in the south. 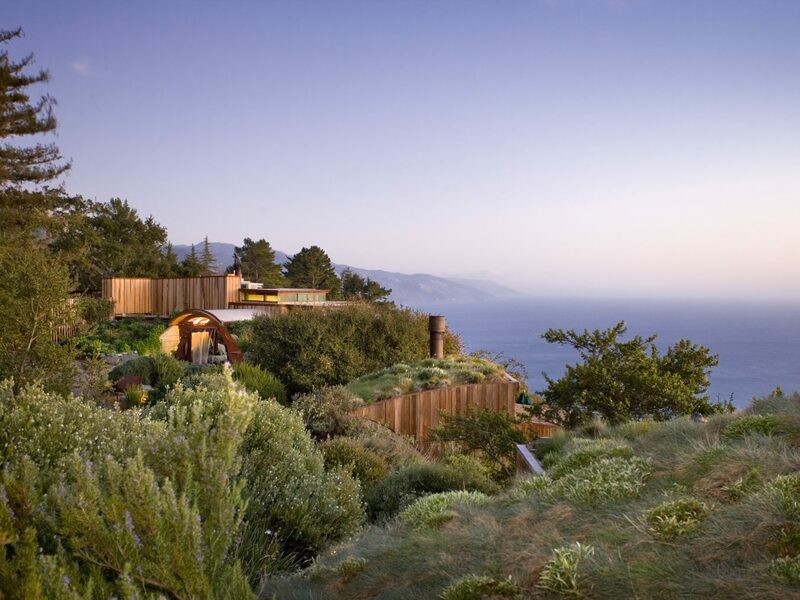 One of the prettiest stretches can be found in Big Sur, a region known for its rugged cliffs, hairpin turns, and otherworldly views. 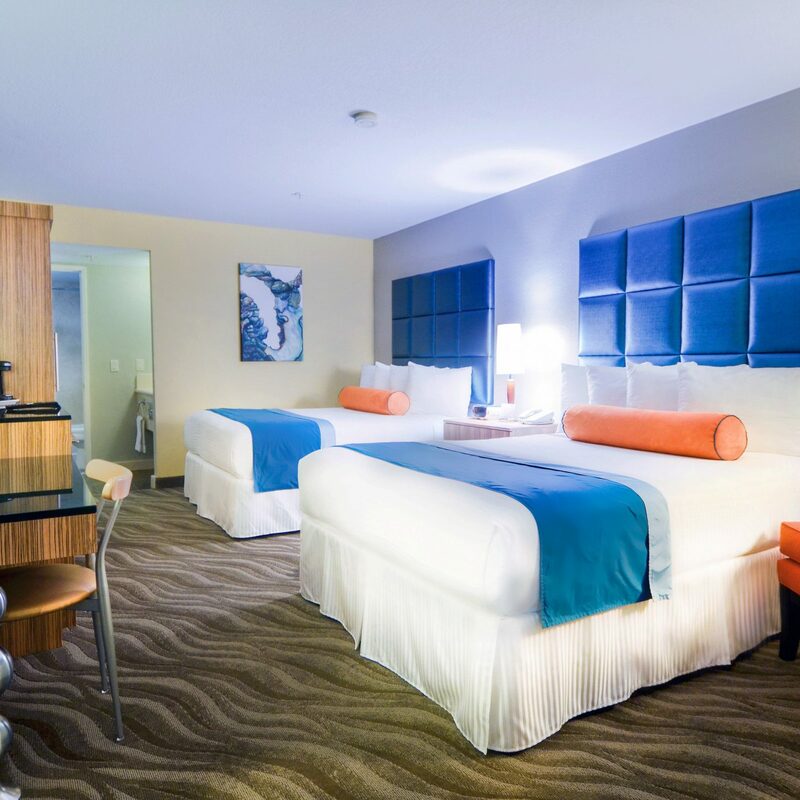 Road trippers can catch the sunset from the luxurious Post Ranch Inn's glass Sierra Mar restaurant, then wake up bright and early to hike the forested trails that surround the highway. 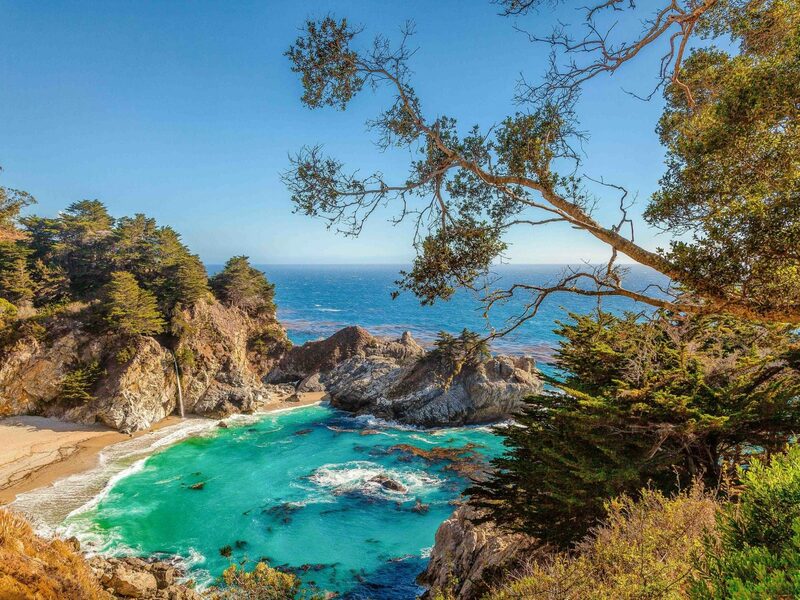 One of the most popular spots: Julia Pfeiffer Burns State Park, whose scenic McWay Falls tumbles 80 feet into the Pacific. 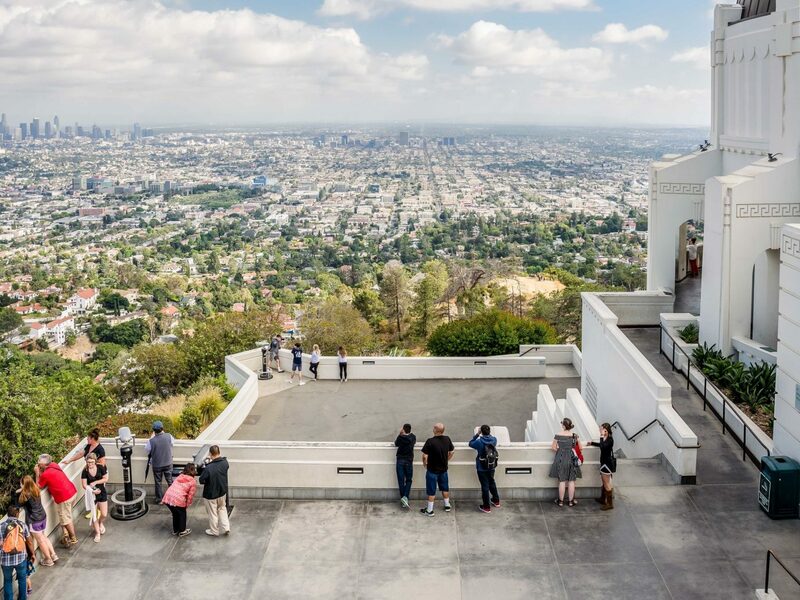 You may not think of LA's Griffith Observatory as one of the most incredible places to visit in California, but it's high on our list. 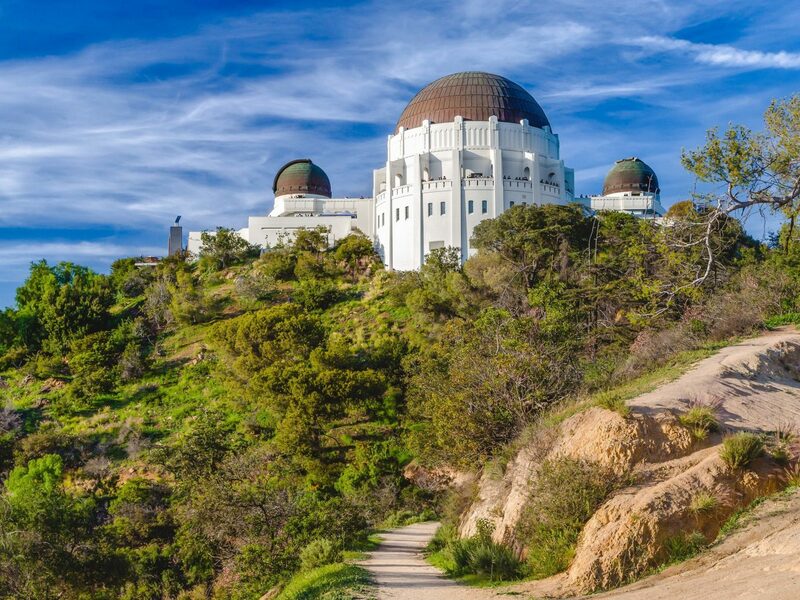 Perched on the southern face of Mount Hollywood, it looms as large in real life as it does on the silver screen: it has played pivotal roles in Rebel Without a Cause, La La Land, and Jurassic Park, among others. 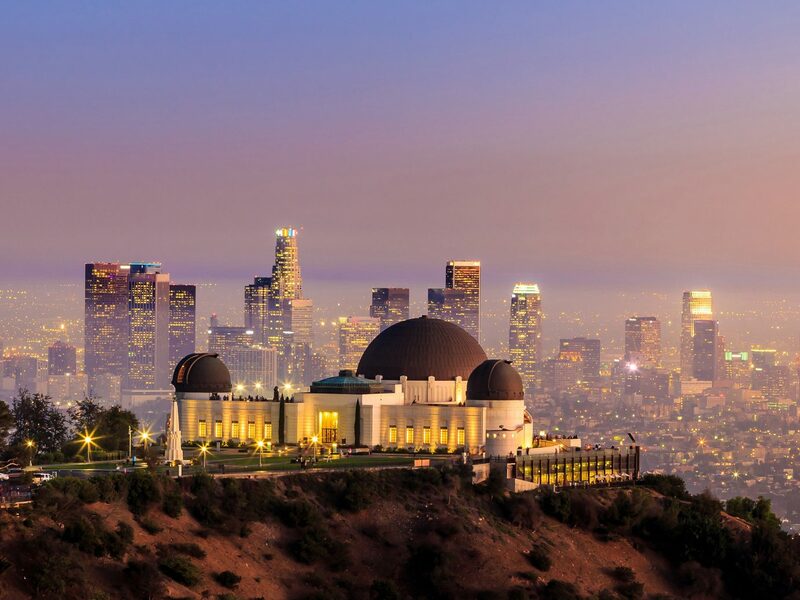 The Beaux Arts planetarium—the nation’s third—opened in 1935 to much fanfare, and remains just as celebrated thanks to its postcard-worthy views over Los Angeles, including the Hollywood sign and the Pacific Ocean. Catch a show (they run 10 times on weekend days) then spend the rest of your afternoon hiking or horseback riding in Griffith Park’s 4,300 acres. Frank Sinatra crooned here; Don Draper swooned here. 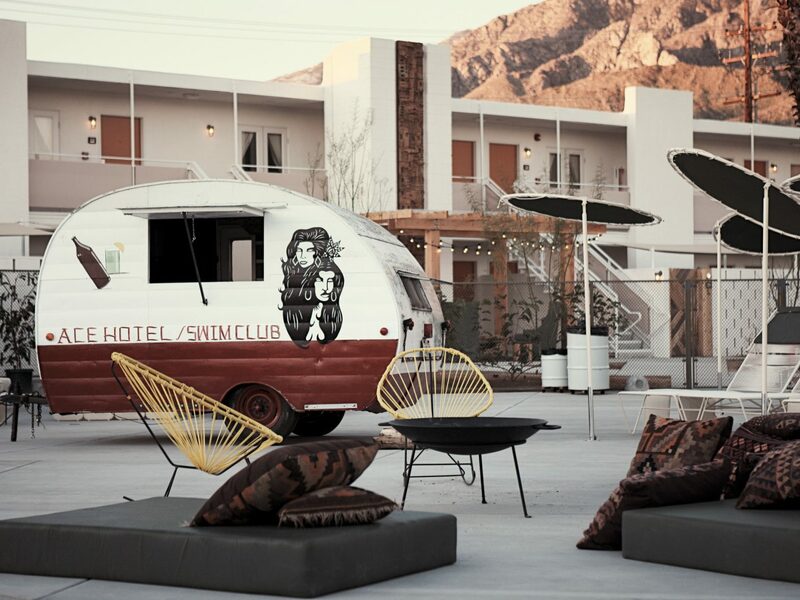 But while Palm Springs has a reputation for its 1960s nostalgia, there’s something for everyone in this desert oasis. 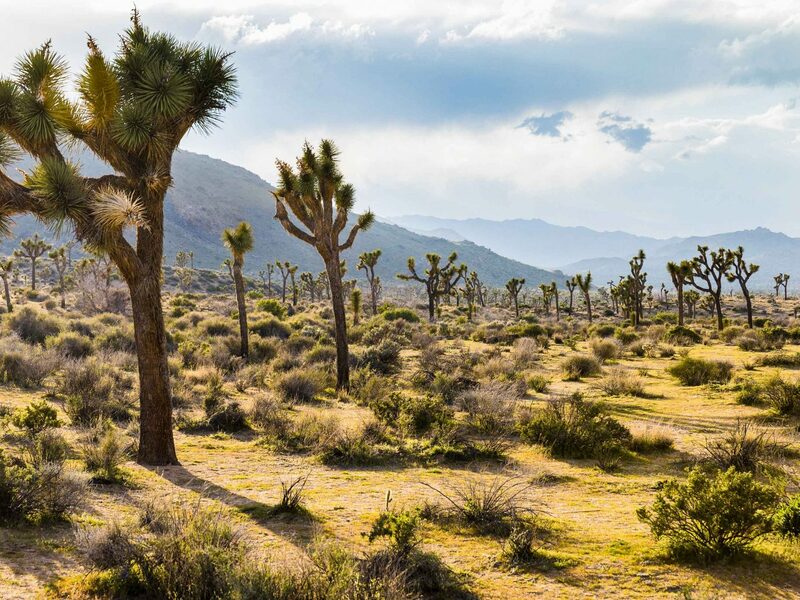 Outdoors lovers can hike the sandy trails of nearby Joshua Tree National Park, spying the Seuss-like growths that give the park its name. 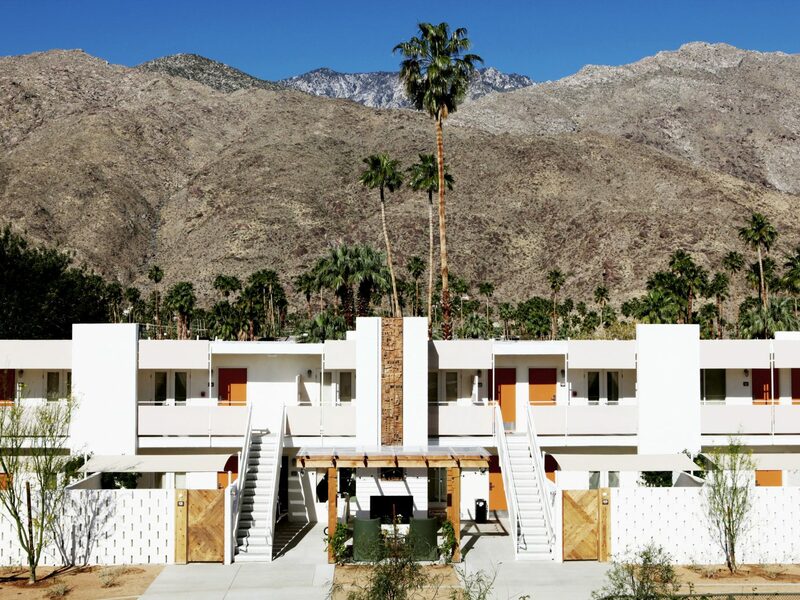 If a culture fix is what you’re after, architecture buffs can embark on a walking tour to see the town’s treasure trove of midcentury modern homes by the likes of Richard Neutra and John Lautner. 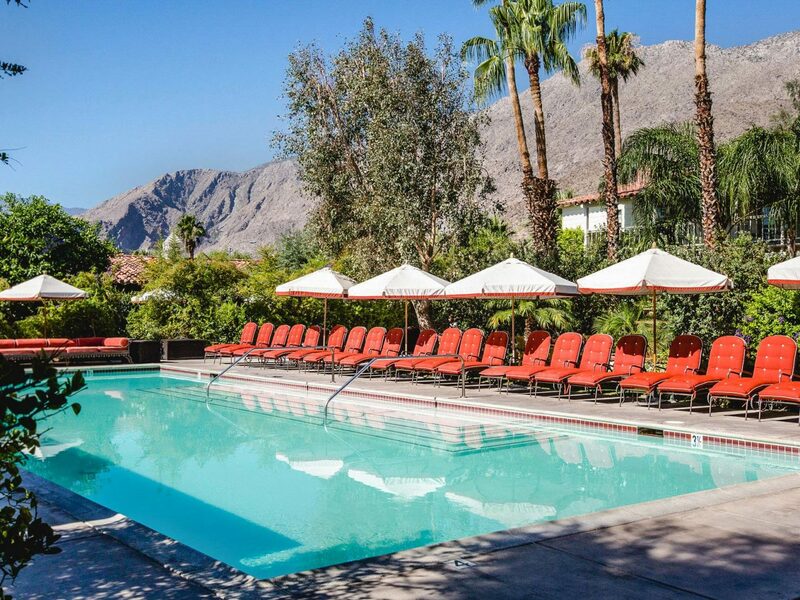 And if you’re a hipster with a penchant for retro digs, beeline to the pool at the buzzy Ace Hotel & Swim Club, thought we prefer the swanky vibe at the Colony Palm Hotel. 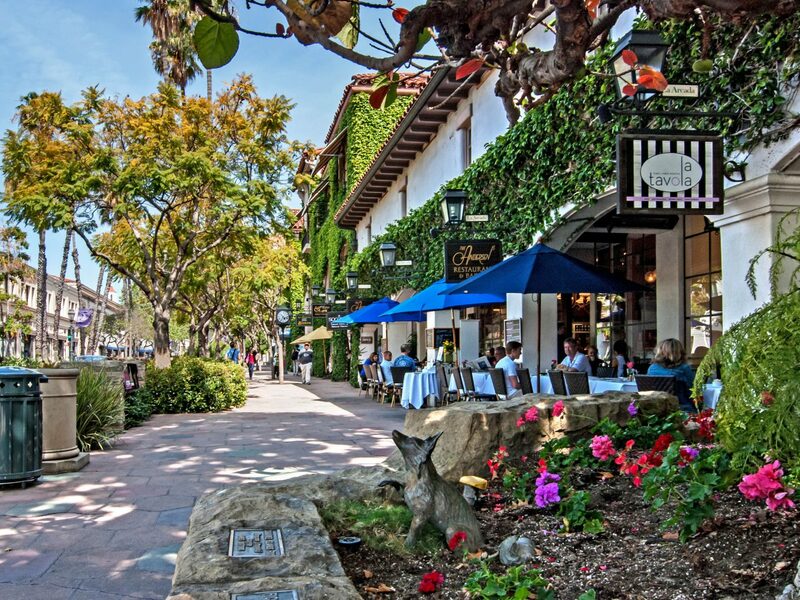 If there’s a prettier beach town in America, we have yet to find it. 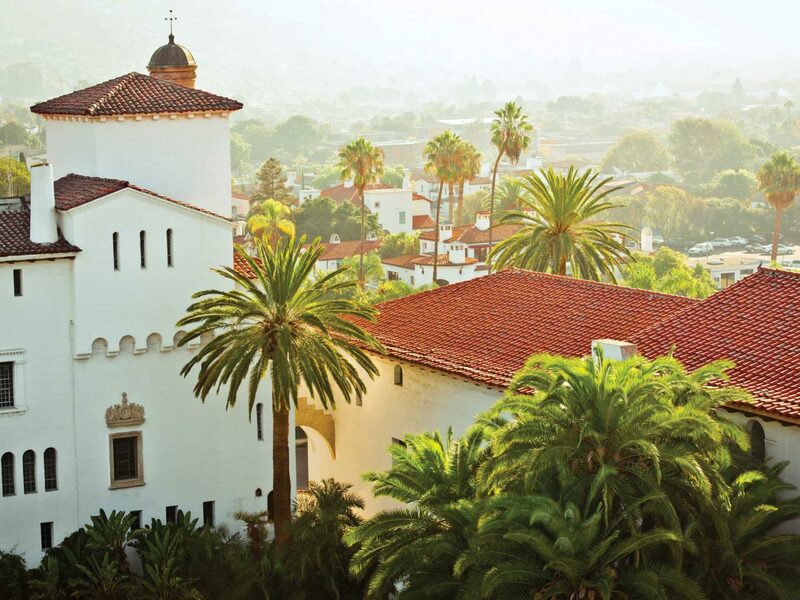 Nestled within the foothills of the Santa Ynez mountains, Santa Barbara looks like a California film set by way of the Mediterranean: it was established by the Spanish in the 1600s, and many of its terra cotta roofs and outdoor courtyards still pay homage to that heritage. 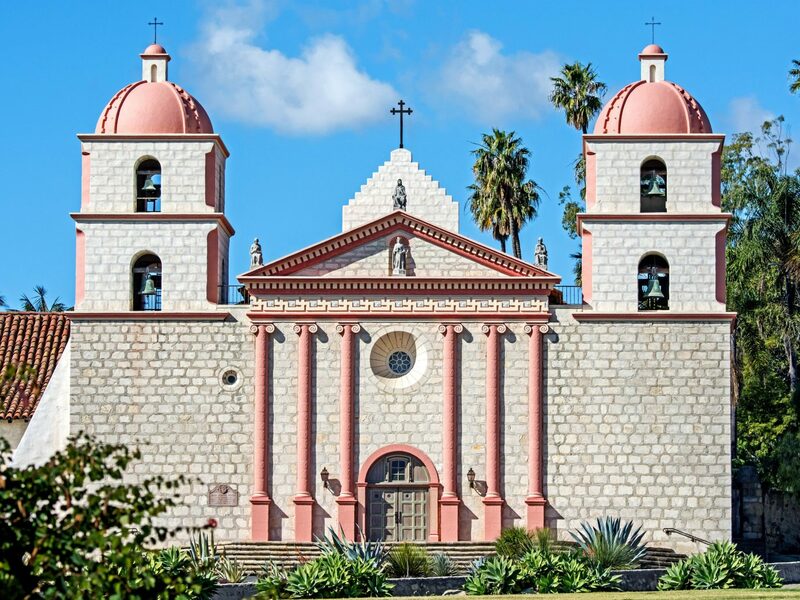 Spend the afternoon soaking up the atmosphere at The Mission, a 1786 landmark with a small museum littered with 18th-century artifacts and a historic garden filled with fruit trees, then hit the shops on State Street before joining the locals for a sunset stroll on Butterfly Beach. 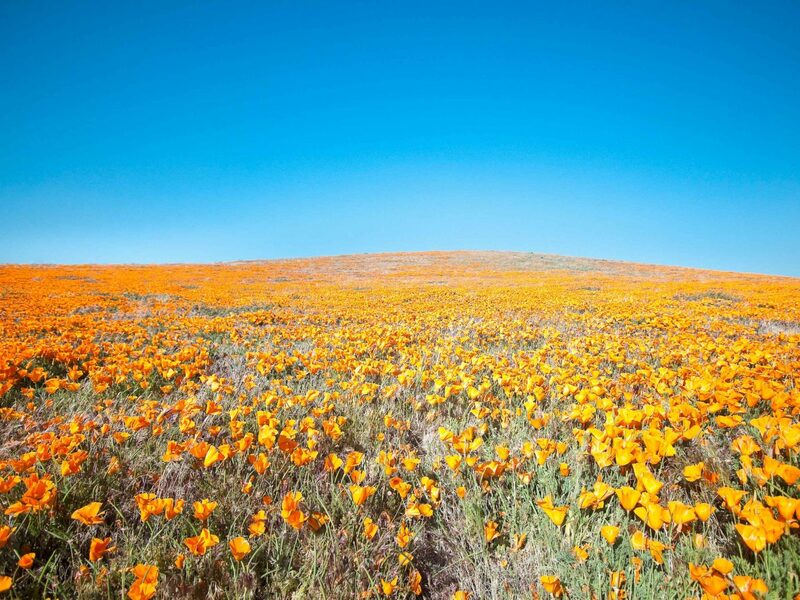 Remember that scene in The Wizard of Oz, in which Dorothy runs through a never-ending field of poppies? 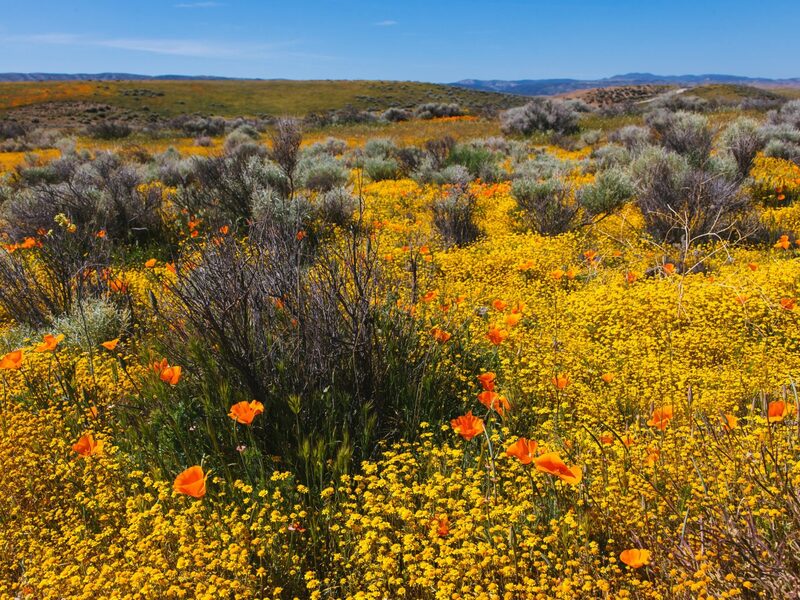 That’s what the Antelope Valley looks like every spring, when the Mojave Desert grasslands explode in a riot of blooming wildflowers. 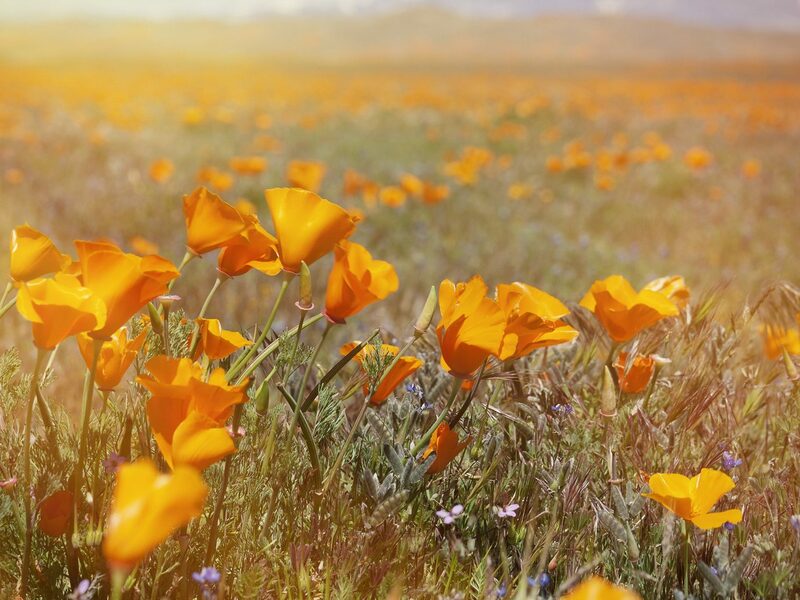 Just two hours north of Los Angeles, the 1,700-acre park features eight miles of trails through rolling hills carpeted in a blanket of blossoms. If you’re looking for something slightly more strenuous, detour seven miles west to explore the Joshua and juniper trees at the Arthur B. Ripley Desert Woodland. Think of it as the original Instagram backdrop. 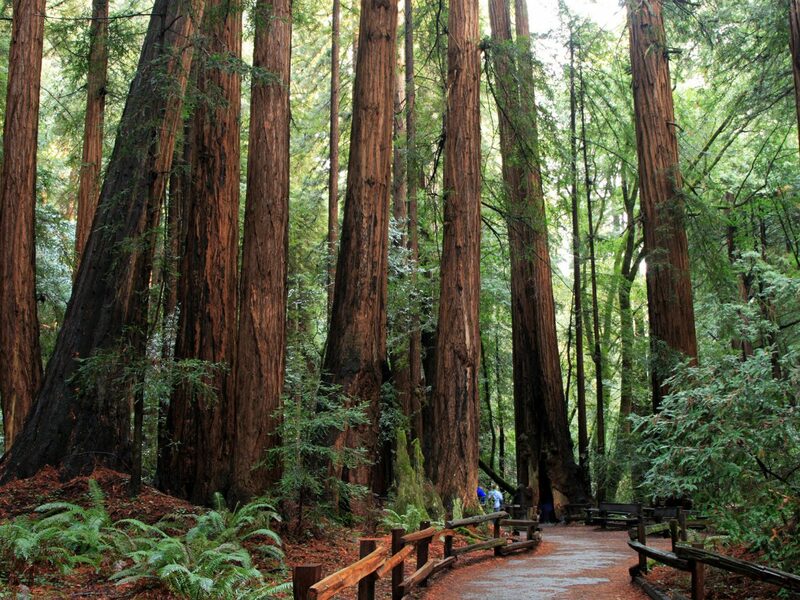 Nearly everyone who treks to see the 250-foot-tall old-growth redwoods of Muir Woods, established in 1908 and often called John Muir’s cathedral, has the photo evidence to prove it—each person looking infinitesimal at the base of a massive trunk. 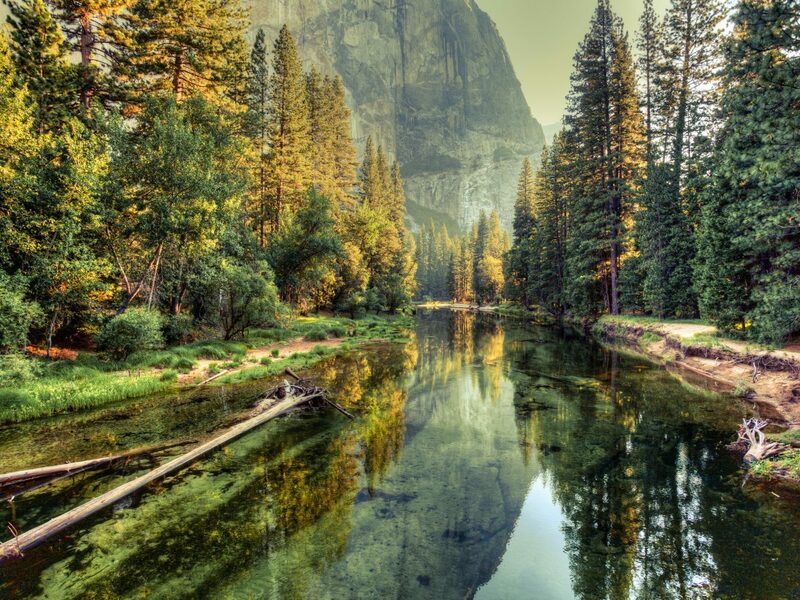 The 800-year-old trees occupy a shrine-like canyon north of San Francisco and are often shrouded in mist and fog, lending them an otherworldly aura that continues to draw visitors in droves. 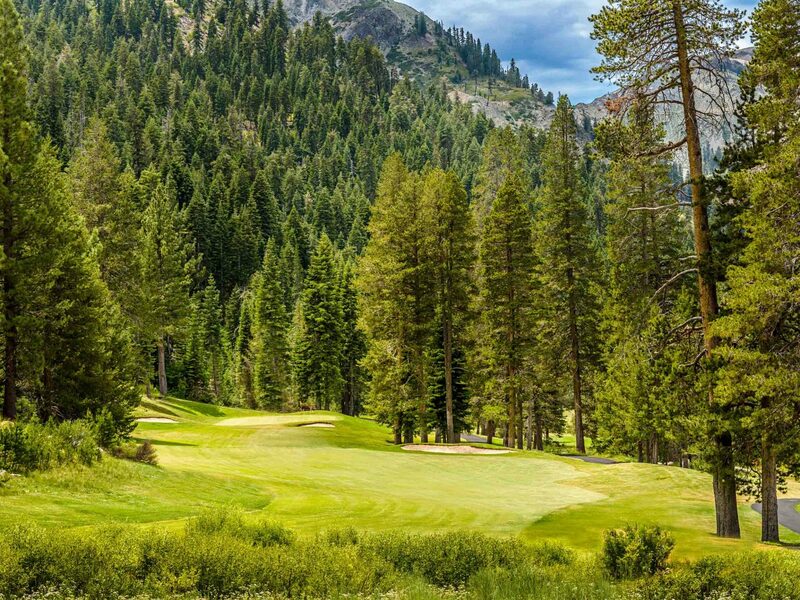 Surrounded by a fortress of Sierra Nevada mountains, freshwater Lake Tahoe is one of the most pristine bodies of water in the country—and an outdoor adventure lover’s paradise. 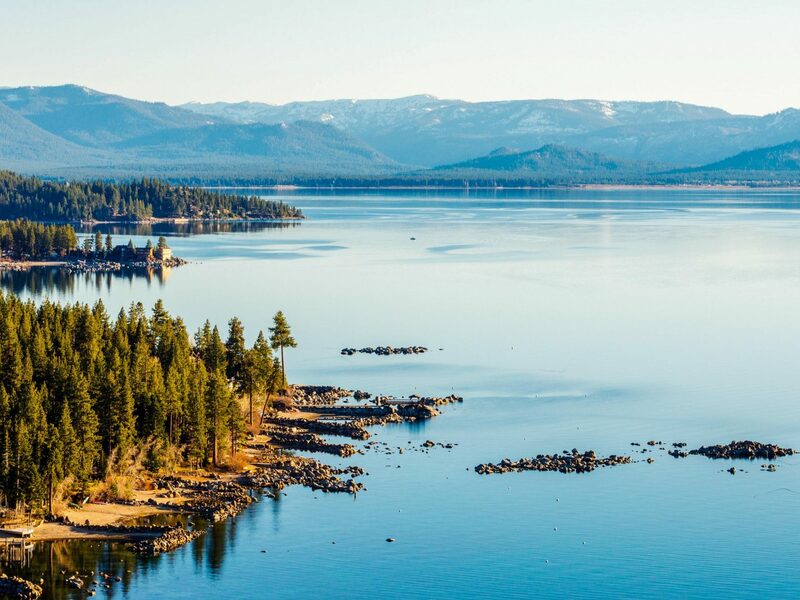 In the summer, its turquoise waves and sandy beaches beckon visitors to engage in all manner of aquatic sport, from sailing and kayaking to diving; hikers and bikers can take in the views from the Tahoe Rim Trail, a 165 path that circumnavigates the basin. 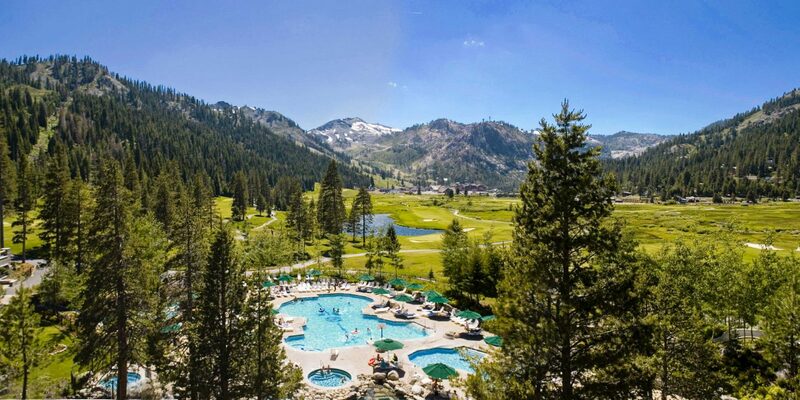 The lake’s shores are just as buzzing in the winter thanks to a bevy of ski resorts and cozy cabins. 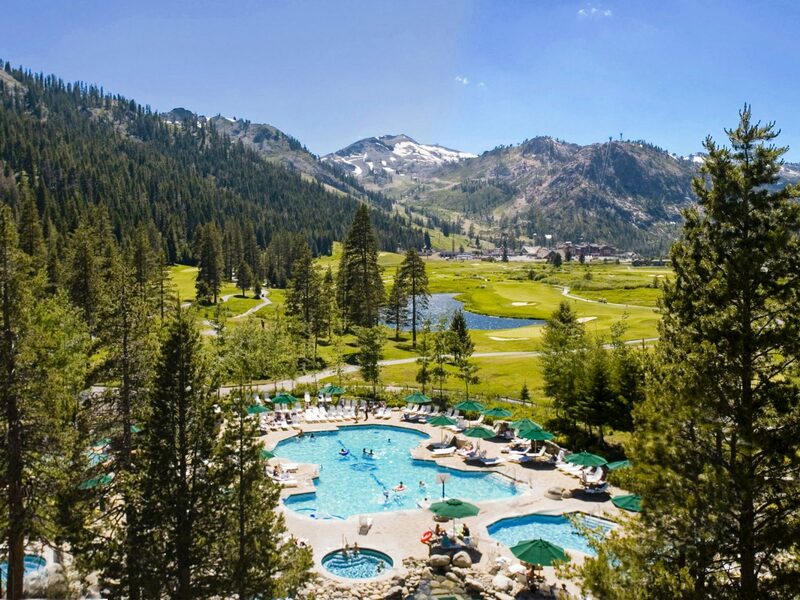 Hit the slopes in Squaw Valley, site of the 1960 Winter Olympics, then retreat to the Resort at Squaw Creek for an après cocktail. 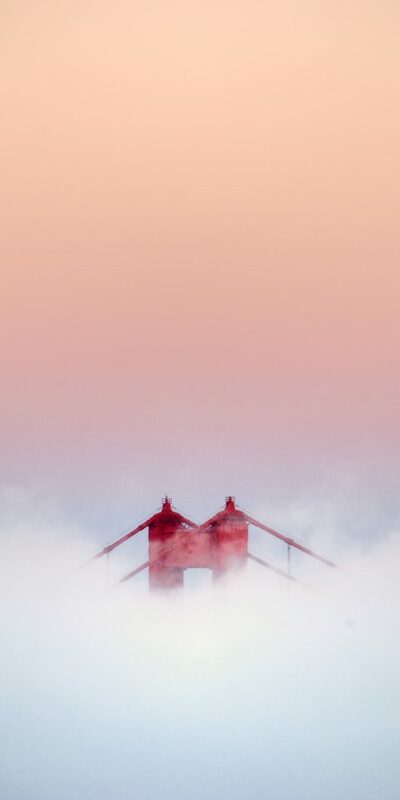 You can’t visit San Francisco without venturing just outside the city to view its iconic orange-hued landmark from the other side. 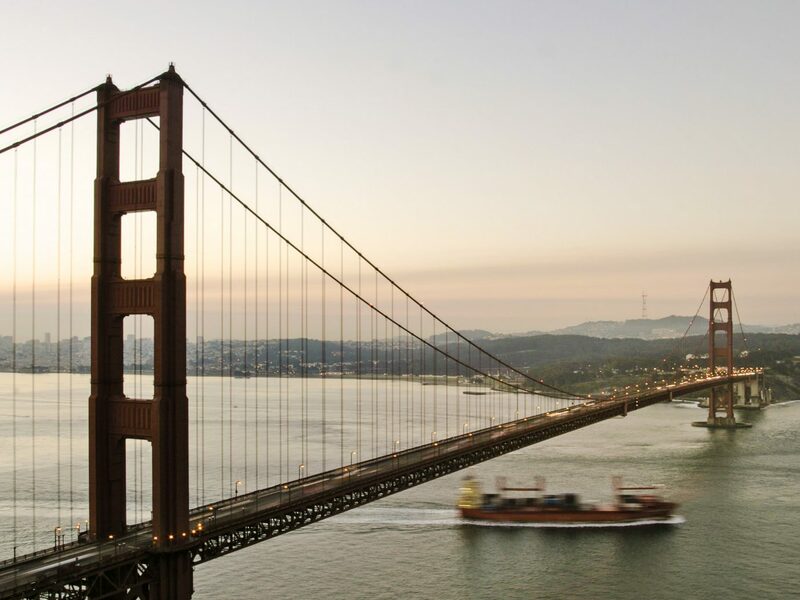 Pedal or drive your way across the 1937 suspension bridge en route to the charming waterfront towns of Marin County. 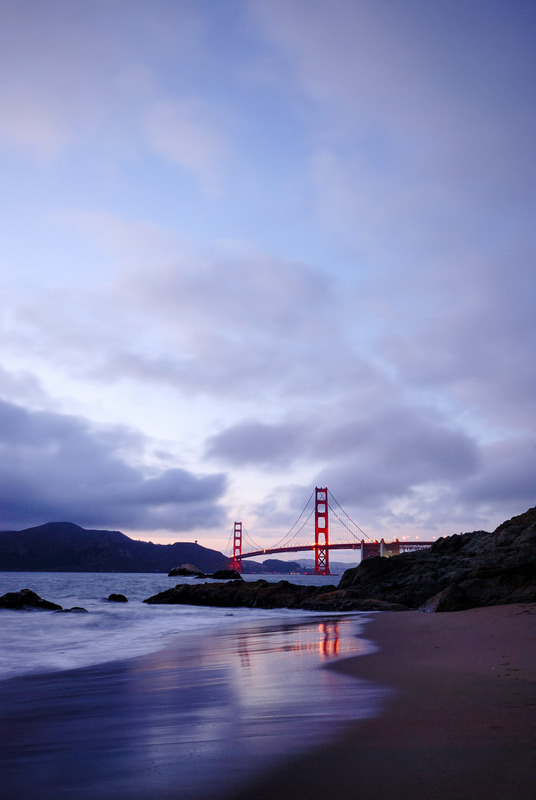 Sausalito is home to a low-key arts scene and the romantic Cavallo Point. 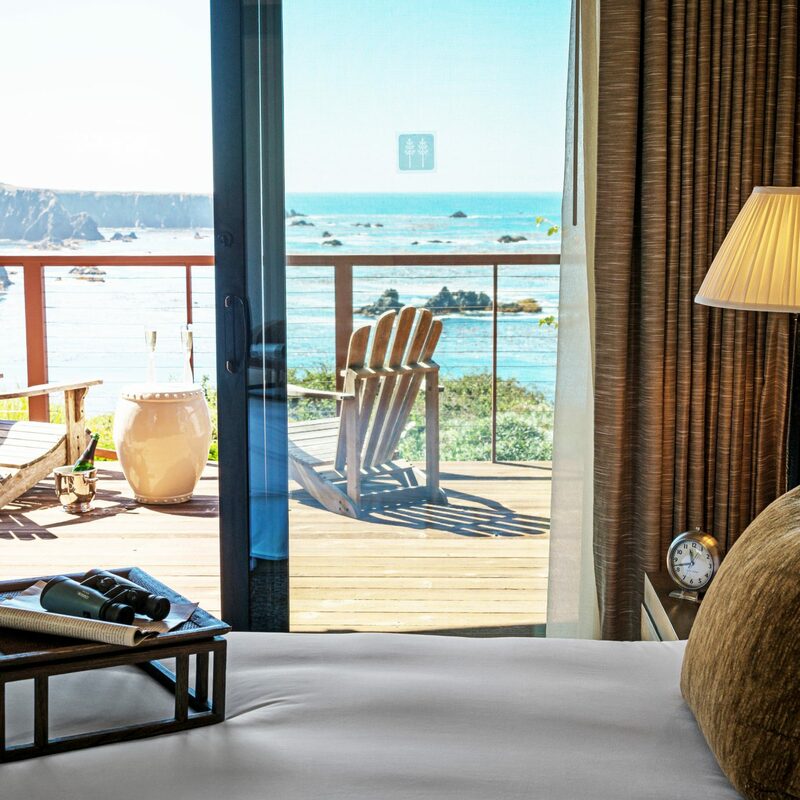 More nature-focused diversions await in Golden Gate National Recreation Area, where you can spot whales at Muir Beach Overlook, trek out to the 1855 Point Bonita Lighthouse, or swim at Stinson Beach.